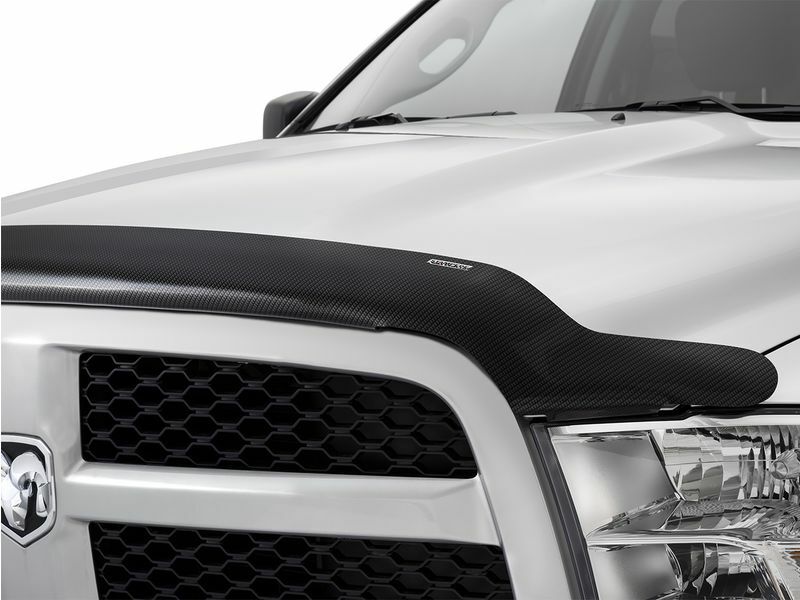 Adding Stampede carbon fiber bug shield to your truck or SUV gives your ride superior protection while looking good! The carbon fiber finish has a clean, unique look that stands out from other bug shield finishes. Stampede uses UV protected, fade resistant acrylic when constructing your carbon fiber bug shield. Its durable construction is resistant to cracks that offers protection against rocks and other road debris that you encounter on your daily commute. Backed by an amazing limited lifetime warranty, the Stampede carbon fiber bug is made right here in the USA. There is no easier accessory to put on your vehicle than a bug shield, with added protection and attractive looks while being easy to install, there is no doubt you will love the carbon fiber look. Get yours today! Stampede carbon fiber bug shield is backed by a limited lifetime warranty against manufacturing defects. Installation the Stampede carbon fiber bug shield can be done easily at home. Most applications will install right into the existing factory holes and require no drilling. The installation instructions that come with your bug shield are clear cut and easy to read. If you have any further questions, feel free to give us a call at 877-216-5446.